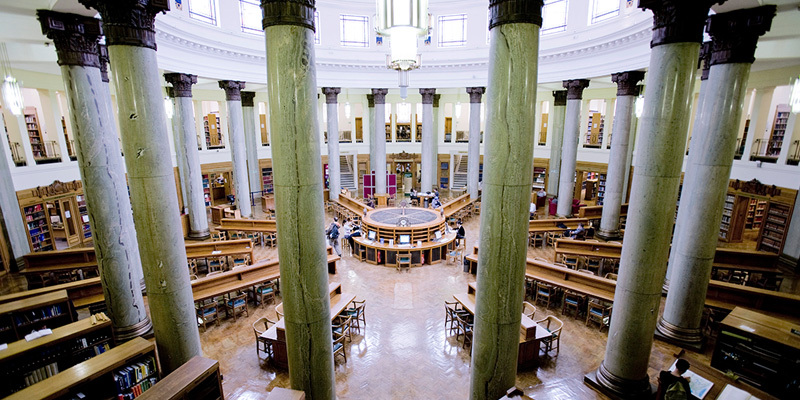 Leeds University Library is one of the UK's leading academic research libraries and offers a huge range of printed and digital materials, including Special Collections featuring rare books, manuscripts and art. You'll be able to work with materials ranging from Shakespeare's First Folio and the Simon Armitage Archive to the Leeds Archive of Vernacular Culture and the Leeds Playhouse Collection. Just a short walk from our School you’ll find the 58-seat, proscenium stage Banham Theatre. Also close by is our Workshop Theatre building, which is home to our theatre studies modules and contains several studios and a large multi-configuration performance space with a retractable 84-person seating bank. The Workshop Theatre building also houses dressing rooms, a stage workshop for constructing props and sets, a technical suite for recording, mixing and editing sound and video, and a wardrobe department with an extensive costume collection and facilities for making and mending. You can find out more about the history of the Workshop Theatre. In addition, our School has a print room with paper-making facilities, a bindery, a large selection of type, and several printing presses (two Victorian Albion, two Arab, and one galley). You'll have the chance to explore this equipment through regular workshops and demonstrations from our staff members.